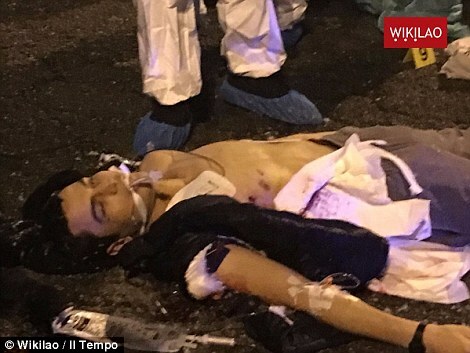 Berlin Truck Terrorist – Gunned Down In Milan Italy – Coercion Code – "Dark Times are upon us"
Chilling footage has been released of Berlin truck terrorist Anis Amri pledging allegiance to ISIS in a video released just hours after he was gunned down in a dramatic shoot-out with Italian police. The Tunisian, on the run for four days after murdering 12 people in a lorry attack in Berlin, rants about ‘crusader’ airstrikes and vows to ‘slaughter infidels like pigs’ in the two-minute clip, published by Islamic State’s news agency Amaq. Speaking on a bridge in the north of the city, Amri can be seen wearing a dark jacket and with headphones in his ears as he warns ‘infidels’ he will ‘hunt them down’ and pledges allegiance to ISIS founder Abu Bakr al-Baghdadi. 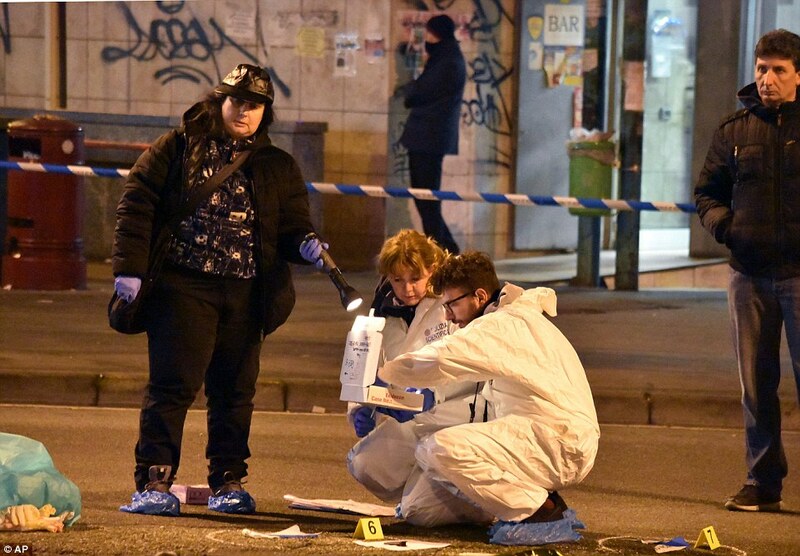 Hours before the video emerged, he was shot dead in Milan having pulled a gun from his backpack and screamed ‘Allahu Akbar’ as he shot at two police officers carrying out a routine ID check. 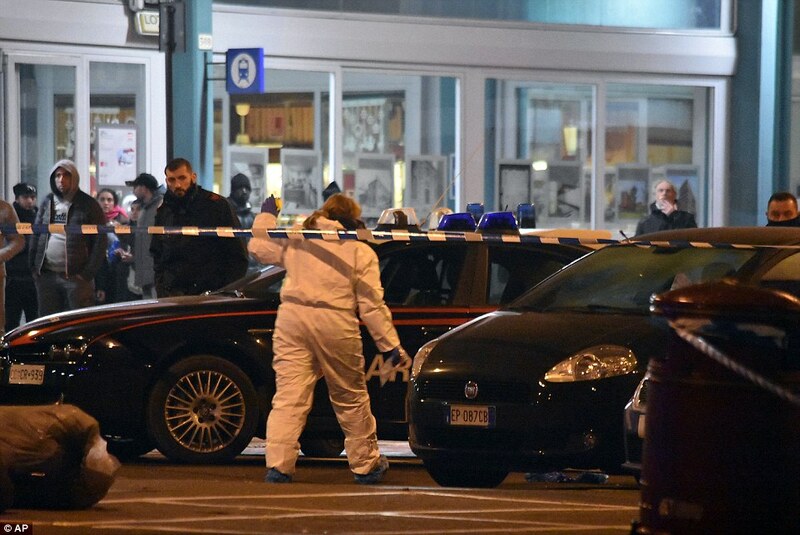 The 24-year-old ISIS fanatic was stopped after arriving in the suburb of Sesto San Giovanni in the northern Italian city of Milan at about 3am local time. Two officers asked him for ID documents, at which point Amri ‘immediately’ pulled a gun from his backpack and shouted ‘police b******s’ as he shot one in the shoulder. A firefight ensued with Amri cowering behind a car as he tried to flee, but the extremist was shot and killed by the second officer – a trainee who had only been in the job a few months. Witnesses said the two policemen had then crouched over Amri in a bid to keep him alive, but the Tunisian died after ten minutes. ISIS news outlet Amaq today confirmed Amri’s death – and that he carried out the market massacre in Germany. Security chiefs believe Amri, who used at least six different aliases with three nationalities, was trying to flee to southern Italy where he had entered Europe illegally in 2011. Police, who had received a tip-off Europe’s most wanted man may have been in the city, approached Amri because they were suspicious that anyone was at the station at 3am. The terminal had earlier been closed for the night and officials are trying to work out whether he may in fact have arrived in the suburb, north of the city, by bus. When the patrol approached him, he said he had no ID papers, no phone and just a small pocket knife. But he then pulled a 22 calibre pistol from his backpack and shot one of the two police officers, Christian Movio, 36, in the shoulder. 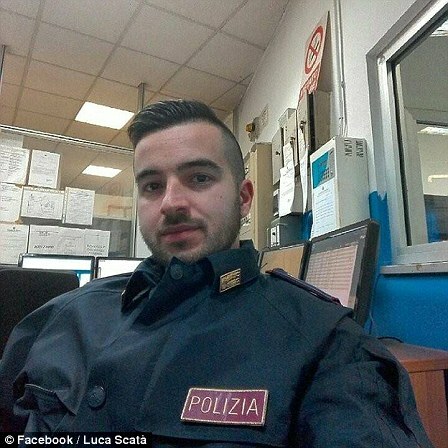 Amri ran for cover and cowered behind a car in a piazza near the station before being shot dead by trainee officer Luca Scata, 29, who had only been in the job for nine months. On Amri’s body police found a train ticket that helped reconstruct the attacker’s movements in Berlin, revealing how he took a train from Chambery in France and then from Turin to Milan. But it is not clear whether he had driven from Berlin to Chambery or taken a 1,000-mile train trip all the way to Milan via Frankfurt – the normal rail route to the south of France. This morning, Scata was praised for his actions and had received hundreds of messages from wellwishers. Ranting into a camera as he shoots a selfie-style video, this it the Berlin lorry killer pledging allegiance to ISIS and vowing to punish ‘pig eaters’. 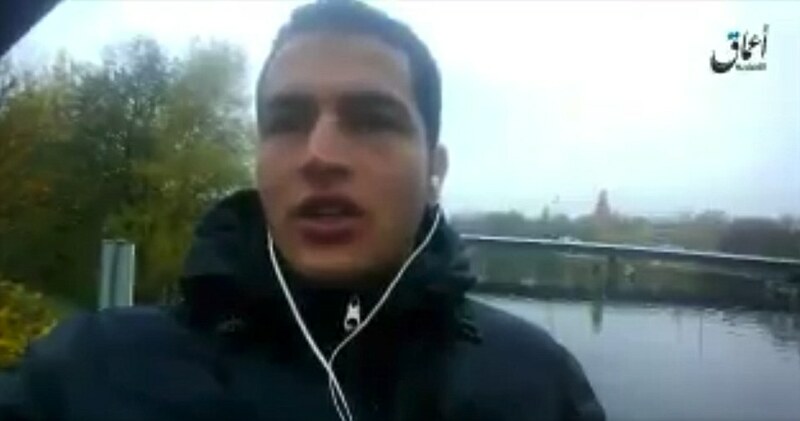 Anis Amri can be seen wearing a dark jacket and headphones and standing on a bridge over a river as he delivers his chilling speech, warning he wants to become a martyr. The brainwashed 24-year-old went on to slaughter 11 revellers enjoying a Christmas market in the heart of Berlin on Monday night. 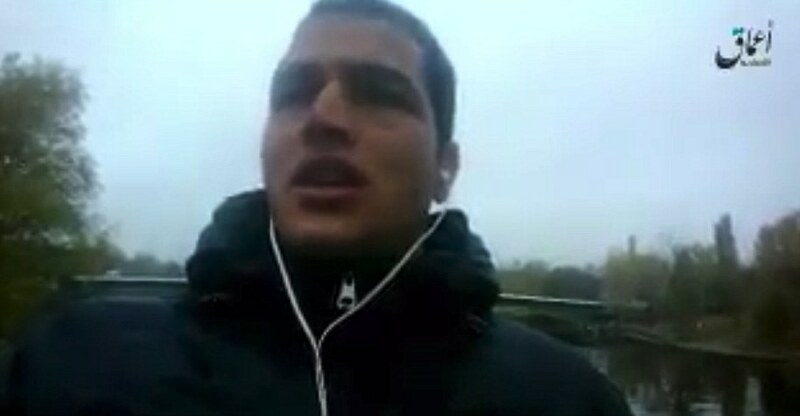 The video, which appeared to have been taken by Amri himself, shows him standing on a footbridge in the north of Berlin, not far from where he allegedly hijacked the truck used in the attack. The site is just a few hundred yards from a Berlin state administration office that deals with asylum matters. It is unclear whether Amri’s case was handled there or whether the video, released online Friday, was taken before or after the attack. He also says: ‘I pledge my allegiance to the caliph Abu Bakr Al Baghdadi. I pledge to participate in jihad against the enemies of Allah. ‘My message to those infidels who bomb Muslims everyday – we are going to slaughter you like pigs. We will avenge the Muslims you killed and continue to kill. As well as his pledge of allegiance, Amri declared his desire to avenge Muslims killed in air strikes and called for attacks against ‘Crusaders’. Amaq had earlier said the man shot dead by Italian police near Milan on Friday carried out the Berlin attack. Releasing suicide videos of terror attackers after their deaths is a common tactic by ISIS. In July fanatics were shot dead after murdering an elderly priest at a church in Normandy. A day later, ISIS news outlet Amaq published a video of the two perpetrators pledging allegiance to ISIS leader Abu Bakr al-Baghdadi. ‘All praise to Allah, and may He send blessing and peace upon his Prophet Mohamed. ‘I, here, vow to obey the caliph Abu Bakr Al Baghdadi in whatever he orders me to do, even if it was to my disliking, and to continue to do so, unless I am ordered to do something that I know for sure is forbidden in Islam. ‘I also vow to work for Islam to prevail; to judge and be judged by its rules; and to work hard until the Islamic State is well established and founded. Finally, I pledge to actively participate in jihad against the enemies of Allah as much as I can. ‘And to those infidels, who bomb the Muslims everyday, I swear that we will hunt you and slaughter you like pigs for what you do to these Muslims. Did you think that what you do to them will go unpunished? ‘There are masses of Muslims all over the world willing to avenge the Muslims you kill, and they will be avenged, for we are strong and determined to make you pay the price of your actions against them. It has since been inundated with comments from grateful Italians hailing him a hero and thanking him for his bravery. It comes hours after two men were arrested at a mosque in Berlin where Amri is believed to have been seen both before and after his murderous rampage. Today’s events bring to an end a four-day manhunt that has heaped embarrassment on Germany’s police and politicians. Shortly before the shooting German police still believed the terrorist was in Berlin. German prosecutors said they were investigating whether Amri had accomplices and admit there were still ‘many open questions’ in the investigation. Amri was somehow able to travel unhindered through at least three countries before being gunned down in northern Italy. Blundering German police today said they believed the Tunisian asylum seeker was still in or around Berlin just before he was shot dead almost 1,000 miles away in Milan. Officers have been raiding addresses across Germany in the hunt for Amri, but after arresting the wrong man the ISIS terrorist was able to flee the country. This morning, before his death was announced, a senior police source told tabloid Bild: ‘We believe he is either in Berlin or in North Rhine-Westphalia’. A brother of Berlin truck terrorist Anis Amri has revealed the family feels ‘sick’ after the 24-year-old was shot in Italy. Former Ukip leader Nigel Farage said Amri’s apparent ability to travel from Germany to Italy showed that the Schengen system – which allows border-free movement between 26 European states – is ‘a risk to public safety’ and should be scrapped. 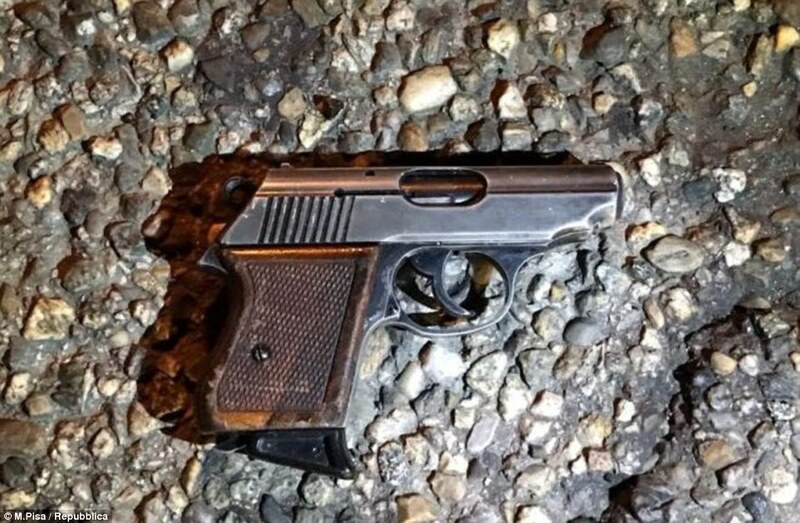 This morning, it emerged that the Polish driver of the hijacked Berlin lorry was shot in the head on Monday night with a similar-sized gun to the one Amri used in Italy. Movio was taken to San Gerardo Hospital in Monza for emergency treatment where he is said to be recovering. Pictures of his protective vest show the impact of one of Amri’s bullets. The killing of Anis Amri comes after an embarrassing four days for German authorities. An hour after the mass murder, a 23-year-old Pakistani man was arrested, but police were later forced to admit he was not involved in the attack. It took more than 24 hours to identify Amri, despite him having left his wallet in the lorry which ploughed into crowds at the market. 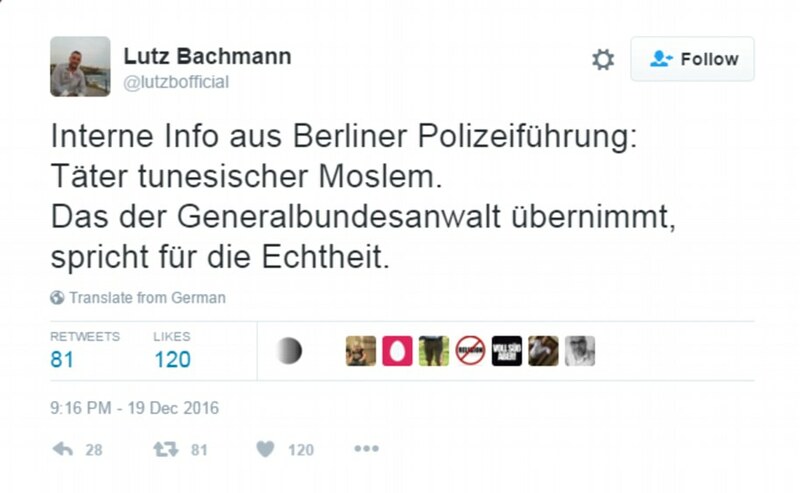 Yet just two hours after it happened, Lutz Bachmann, who heads the anti-immigrant PEGIDA group, tweeted that he had ‘internal police information’ that the perpetrator was a Tunisian. 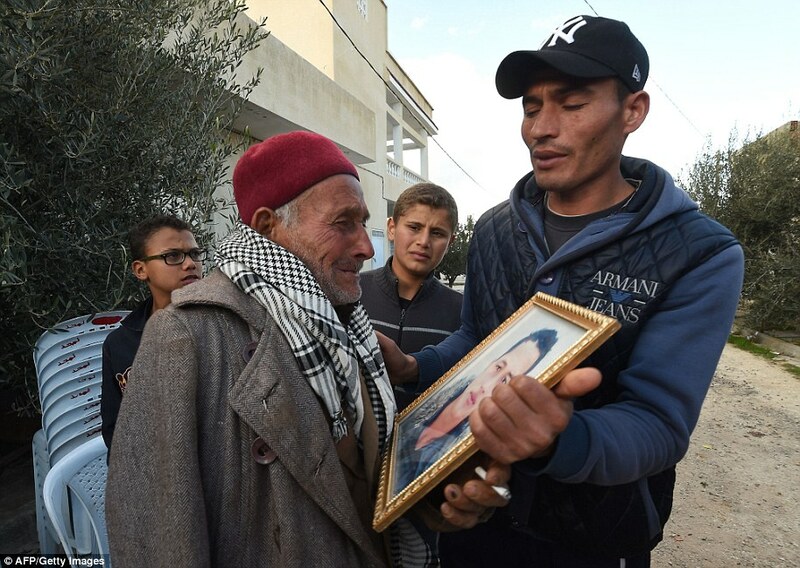 The killer’s eyes were hidden in pictures circulated by police, and he was identified as Anis A., potentially hampering efforts to track him down. When he was eventually identified as the chief suspect, it transpired that he was well known to intelligence services, and had even been reportedly heard offering his services as a suicide bomber. Despite being arrested three times this year, deportation papers were never served. He was killed in the early hours of the morning in Milan, despite German authorities announcing that he was still believed to be in Berlin. Photos of the scene this morning showed Amri’s body lying on the ground surrounded by armed police. 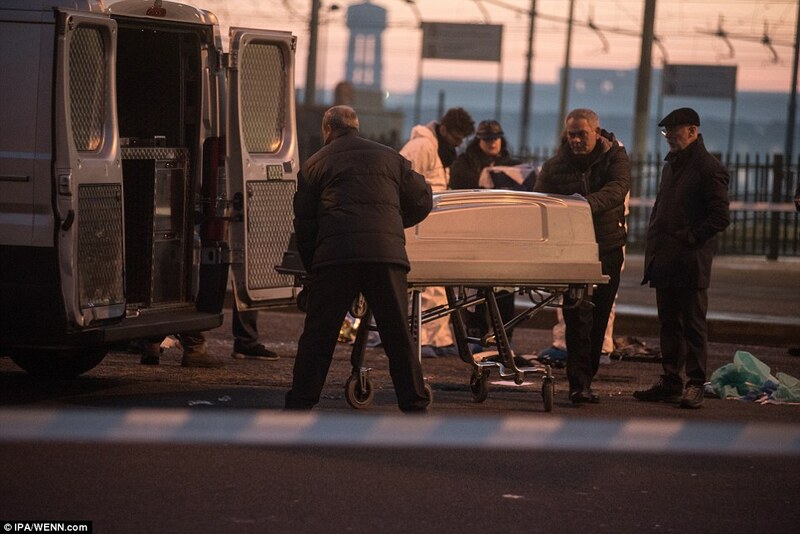 The corpse was later covered with a blanket and the square outside the station sealed off as a crime scene. Interior minister Marco Minniti said there was ‘no doubt’ the dead man was Anis Amri. He told journalists at a Rome press conference: ‘This was a routine patrol and the officers saw what appeared to be the Berlin suspect. ‘Without any hesitation he pulled a gun from his bag and fired at the police. Christian Movio was hit in the shoulder. 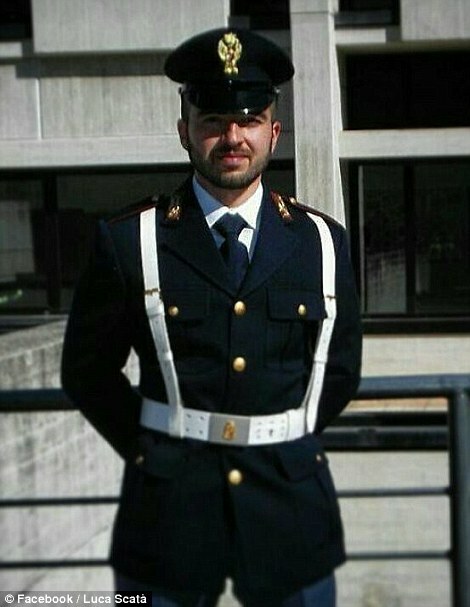 The police officer Luca Scata responded and the suspect was killed. ‘Without a shadow of a doubt this was Anis Amri’. He hailed the two police officers as ‘heroes’ who had ensured ‘all Italians can have a happier Christmas because of their bravery’. German police appear to have completely misjudged the distance Amri was able to travel after the attack on Monday night. 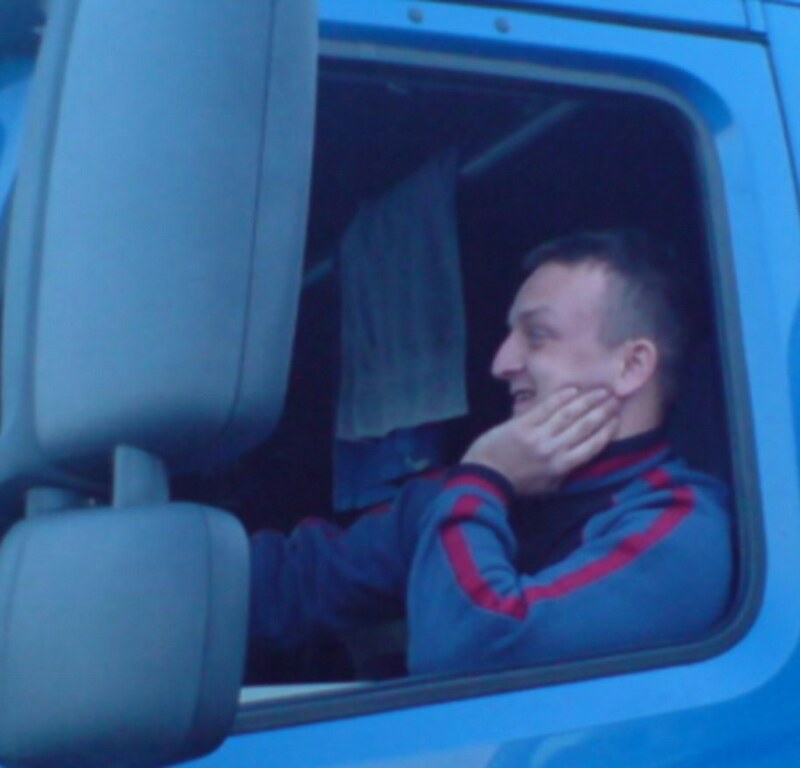 Between 3pm and 4pm: Polish lorry driver Lukasz Urban, 37, has his lorry hijacked. He was on his way back to his truck from a kebab shop when he was ambushed. 8pm – The truck is driven into a large crowd of people at outside the Kaiser Wilhelm Memorial Church in the centre of Berlin. Urban’s body was found in the passenger seat after the attackers fled. 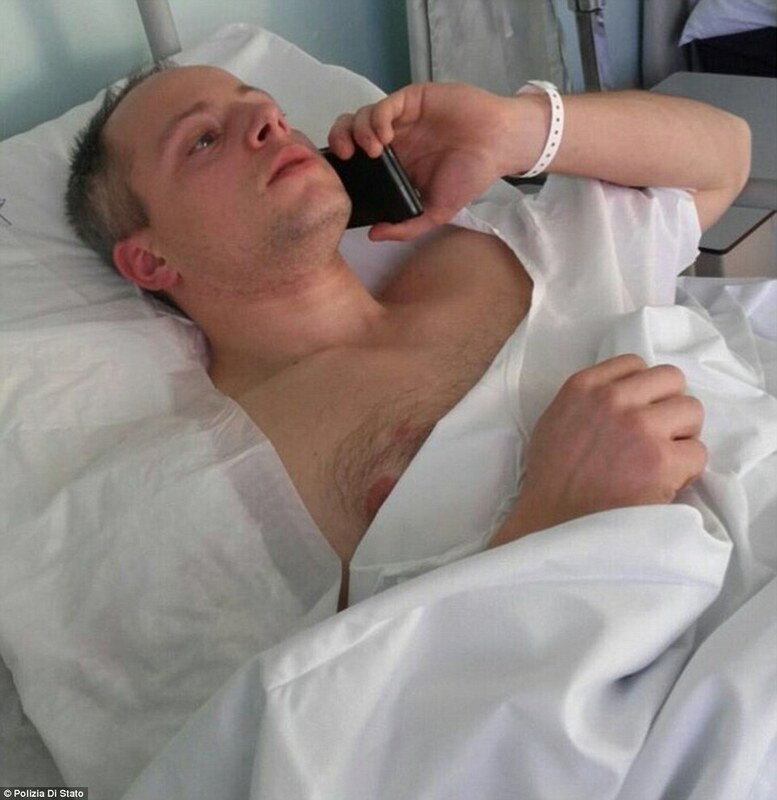 He had been shot and stabbed, but authorities believe he was alive when the truck ploughed into the crowd. 9pm – A man is arrested after being tackled fleeing the scene. He had been arrested three times this year, but deportation papers were never served. Reports in Germany suggest intelligence services had lost track of him weeks ago. A cousin of Naveed Baluch, the wrongly accused suspect, was ‘mentally unfit’ and had not been heard from since he was released. His cousin Waheed told MailOnline he was ‘very worried’ about the missing man. The arrests, in Berlin’s Moabit neighbourhood, came as it was revealed Amri was allegedly captured on CCTV at the mosque just eight hours after the atrocity. Images show a man in dark clothing and a cap standing in a doorway in the early hours of Tuesday, German public broadcaster rbb reported. A man, alleged to be Amri, was also seen at the same mosque on two different days in the week leading up to the atrocity. This morning there had also been reported sighting of him in Aalborg, Denmark – but this now appears to have been a false alarm. 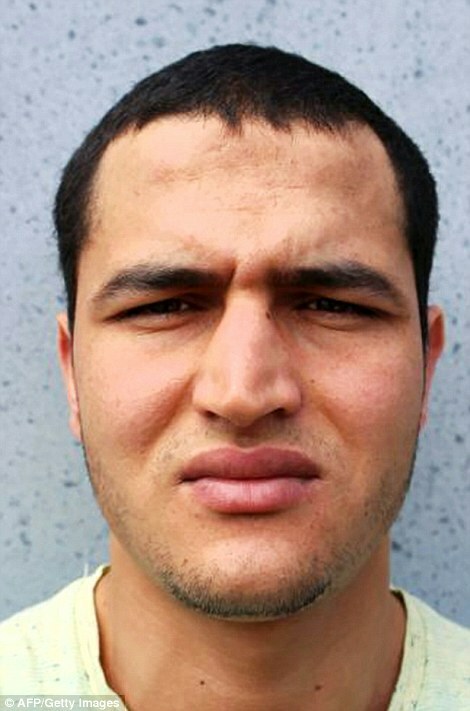 Amri was made Europe’s most wanted man after being identified as the perpetrator, but only after German authorities initially detained the wrong suspect. Pakistani refugee Naveed Baluch, 23,was taken in for questioning after being arrested around a mile from the scene. However, he was subsequently released without charge, prompting fears that the real attacker was still at large. Amri was identified after his wallet was found in the cab of the vehicle, but the German police were slammed as to how this took so long to find, with many critics saying it was ‘too convenient’ as it had not been found sooner. But Amri was further pinpointed to crime scene when his fingerprints were also found on the steering wheel of the stolen vehicle. Amri has strong links to Italy because it was the first European country he claimed asylum in. Trainee policeman Luca Scatà is just a few months into the job yet still managed to chase down and shoot dead Europe’s most wanted man Anis Amri, 24. 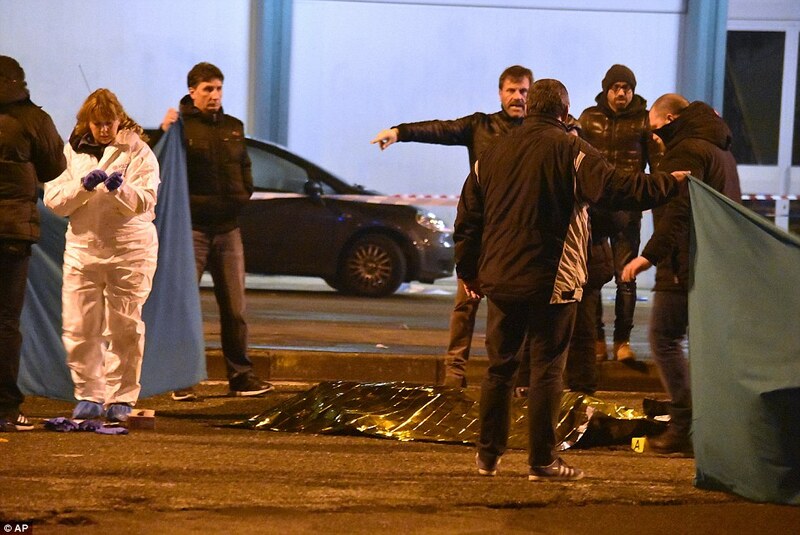 The Sicilian, who works in Milan, approached the killer outside Sesto San Giovanni station in the northern Italian city while on patrol with colleague Christian Movio. They asked for his ID because he looked like the Berlin terror suspect – Amri pulled a gun from his bag and opened fire, screaming ‘Allahu Akbar’. Movio was hit in the shoulder and Amri ran through the square trying to hide behind cars while firing. Scatà gave chase and shot him dead in the street. Christian Movio is in hospital but will survive the shooting, police said. Italian interior minister Marco Minniti said there was ‘no doubt’ the dead man was Anis Amri and paid tribute to the bravery of the officers, naming them in a Rome news conference. Luca Scatà’s Facebook page has since crashed because so many people are leaving messages of thanks and congratulations. Interior Minister Marco Minniti telephoned the officers to congratulate them and said he would be visiting them to “personally give them a hug. ‘At a very young age, these extraordinary men have done a huge service to the entire community, by doing their duty. ‘Italians can be proud of them, they have ensured a much happier Christmas. Prime Minister Paolo Gentiloni echoed the praise as Scata’s Facebook page was flooded with well-wishing messages from all over the world, with many demanding the government give him a medal. At home in Sicily, his father Giuseppe Scata said he was just happy his son was alive. ‘He is a brave boy and he did his duty,’ he told reporters. 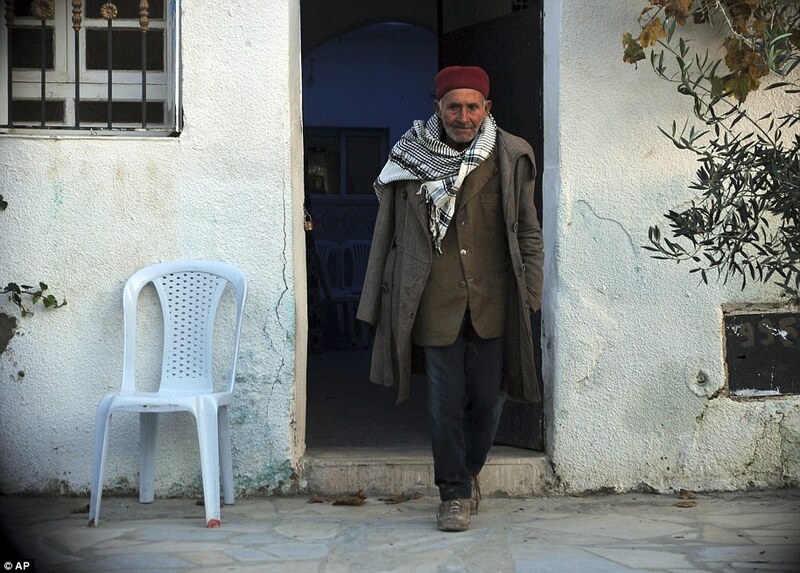 In 2011 he dodged prison in his native Tunisia after fleeing following a violent robbery. He was jailed for five years in absentia. He arrived in Italy in 2011, arriving on the small island of Lampedusa amongst thousands of people fleeing the Arab Spring uprisings. He pretended to be a child migrant – even though he was 19 – but then rioted inside his detention centre, which was set on fire. He was then jailed for four years, serving it in two prisons on Sicily. 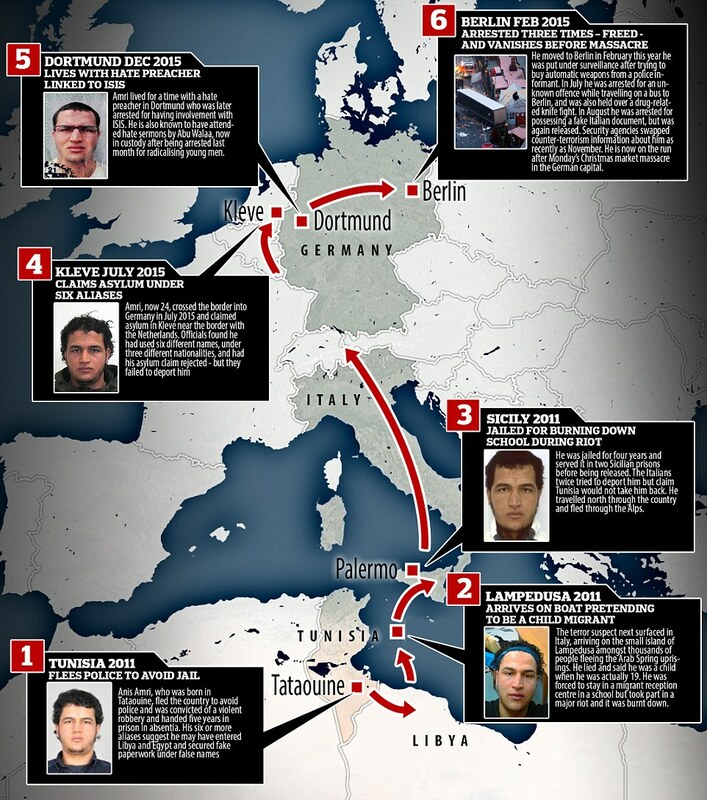 After his release Italy failed to deport him twice because Tunisia refused to take him back and he fled Italy via the Alps for Germany, meaning he probably went via Milan. Amri was jailed by a court in Kairouan, in northern Tunisia, in 2010 for stealing a truck, according to German newspaper die Welt. But he fled his home country for Europe the following year to avoid being sent to prison for other robbery and violence offences. Amri was sentenced to five years behind bars in 2011 – but left the country to avoid jail and arrived illegally in Italy as a fugitive from justice. He was later jailed for arson in Italy when he burned down a migrant reception centre during a violent protest on the island of Lampedusa – the entry point into Europe for hundreds of thousands of migrants fleeing north Africa and the Middle East. Amri was one of a number of migrants who set fire to their mattresses, which burned the migrant centre holding 1,200 refugees to the ground. 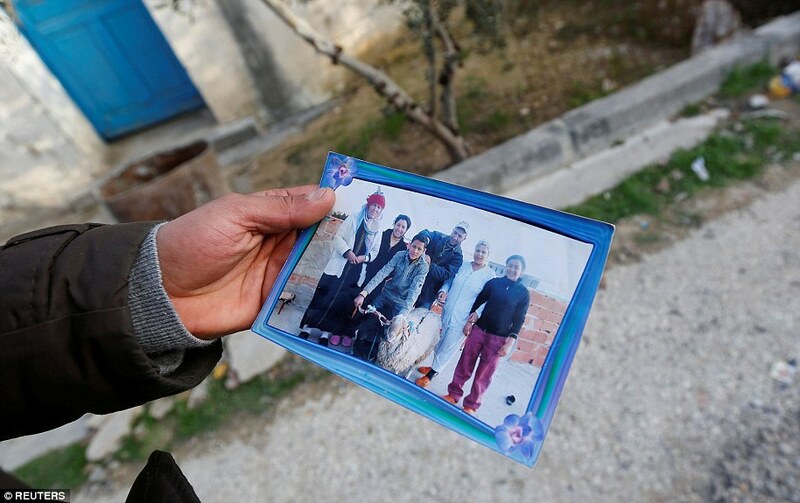 Many refugees were given permission to travel freely through Europe but Amri was ordered to stay in the overcrowded camp because he claimed to be an unaccompanied minor. Amri was released four months early from his four year sentence, arriving in Germany in July 2015 where he remained under the surveillance of the intelligence services for several months. With nowhere to go after his release, ISIS recruiters offered him protection before convincing him to sneak into Germany as a Syrian refugee, a source within Tunisia’s anti-terror police revealed. 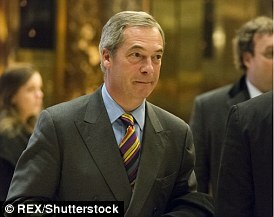 The source told MailOnline: ‘Whatever he decided to do in Germany was started while he was in Italy. ‘They gave him food and shelter and persuaded him to carry out a mission for them. It was in Italy that he was radicalised. But the terror he brought to the streets of the German capital is a far cry from a youngster who loved amateur dramatics and cookery, his sister told. 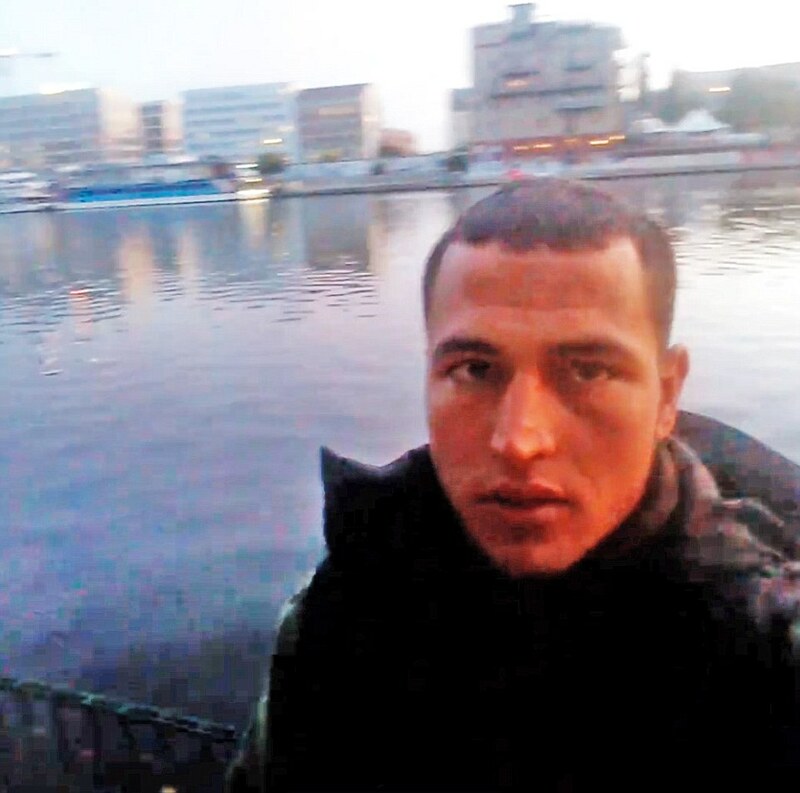 Prior to the shooting in Milan, Amri’s last known location was a mosque in Berlin, where he was seen just hours after the atrocity. Amri was captured on CCTV outside the place of worship in the city’s Moabit neighbourhood just eight hours after the Christmas market massacre. Images show a man in dark clothing and a cap standing in a doorway in the early hours of Tuesday, German public broadcaster rbb reported. He was also seen at the same mosque on two different days in the week leading up to the atrocity. Intelligence sources later confirmed that they believed the man in the CCTV footage to be Amri. Other pictures emerged of the mosque after it was raided by police who used stun grenades as they entered the building. The door was seen hanging on its hinges, and a rudimentary attempt to fix it, with pieces of wood and masking tape appeared to have been abandoned. 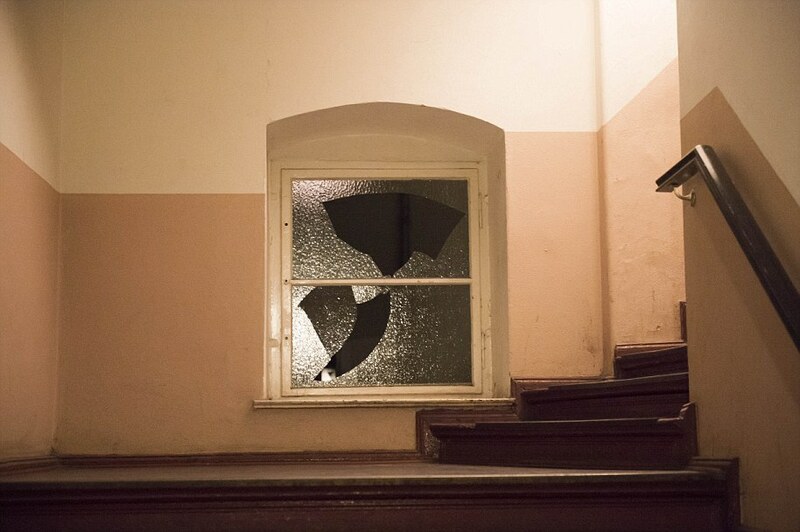 A window in the hall outside the mosque, which was covered with graffiti and dirt, had been smashed. Older sibling Najoua said: ‘He did drink, but moderately, he took cooking and acting classes when he was in Italy, he liked his life before he was jailed [in that country]. He later told AP by telephone that he wanted to find out the ‘truth about my brother. 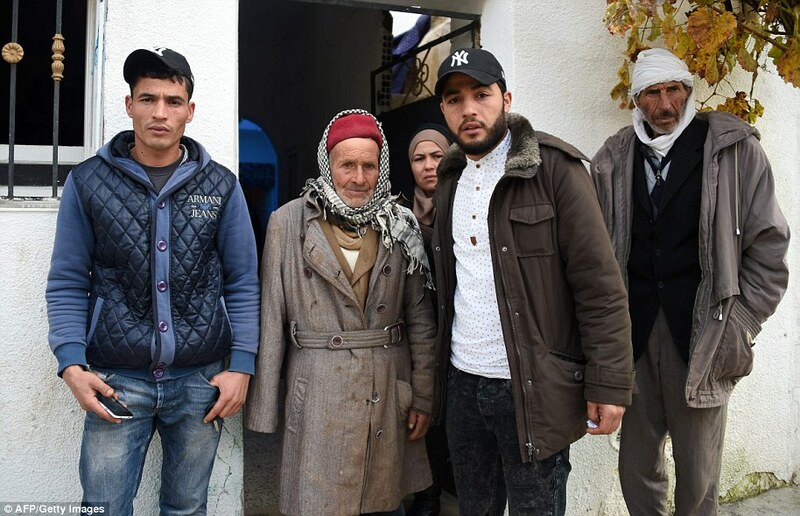 The family ordered a crowd outside their house to leave when news of Friday’s police shootout reached the central Tunisian town of Oueslatia, according to neighbor Wiem Khemili. 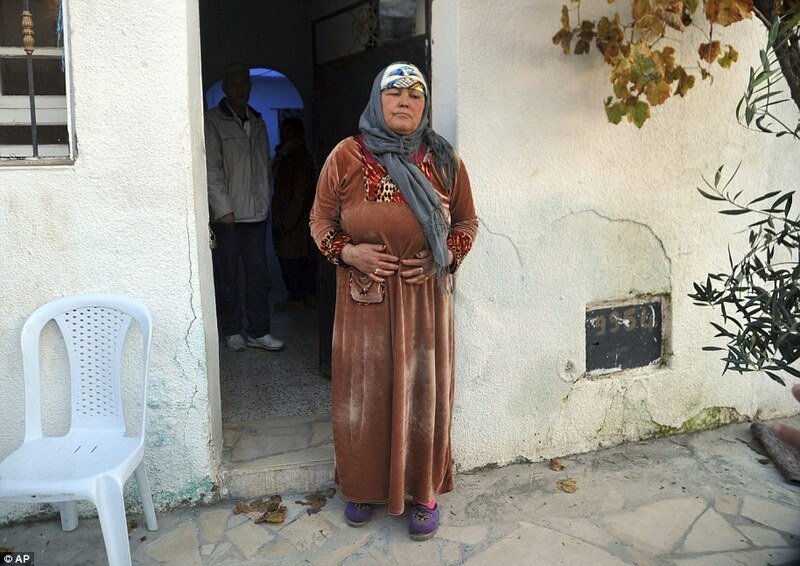 Police stood guard around the impoverished town. His brother Walid posted a photo of him on Facebook following the identification of Anis as the prime suspect. Europe’s most wanted man Anis Amri travelled unhindered through at least three countries before being gunned down in northern Italy. Nigel Farage has said the free movement zone in the EU must be scrapped after the Berlin market attacker fled across borders to France and Italy. The ex Ukip leader said the ecape route of Anis Amri proved the Schengen zone was a ‘risk to public safety’. Mr Farage has linked free movement and terrorism before. In the wake of the Paris attacks and ahead of the EU referendum, he said: ‘The warnings were pretty clear. ‘Isis said they would use the migrant tide to flood the EU with half a million jihadists. ‘I would suggest 5000 is too many; 500 is too many… it only took eight to cause that destruction in Paris the other night. ‘This dream of the free movement of people, this dream for others of the Schengen area: It hasn’t just meant the free movement of people, it has meant the free movement of Kalashnikov rifles. It heaps further embarrassment on Chancellor Angela Merkel, who yesterday said she believed they would arrest him ‘soon’. By the time the European arrest warrant was issued 30 hours after the terror attack, Amri had plenty of time to leave the country. He travelled out of Germany and all the way to Chambery railway station in the French Alps. He then took a three-hour direct train to Turin, and then on to Milan’s Central Station where he arrived at 1am, and then on to the suburban Sesto San Giovanni station where he was killed by police at 3am. It is not known how he got to France from Germany but if it was by train the quickest route would be from Berlin to Frankfurt, then on to Lyon. One report said he may have gone to Paris before heading towards the Alps and Italy over the past five days. Police will be searching for any abandoned cars in case he left Germany by road before switching to the railways. Meanwhile, French authorities are refusing to comment on how the Berlin attack suspect apparently crossed into France and left again in the face of an international manhunt. 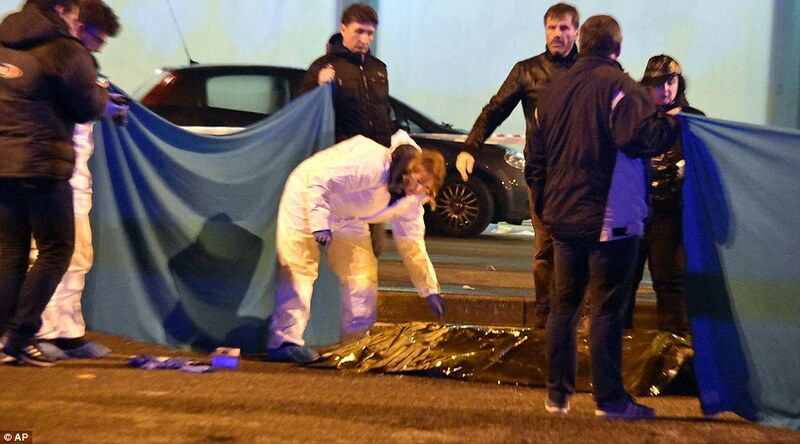 Milan police chief Antonio de Iesu said earlier that Anis Amri had ‘surely passed through France’ – a country that has been living in a state of emergency for more than a year after deadly Islamic extremist attacks. France upped security on the road borders with Germany border after Monday’s Christmas market attack in Berlin, and introduced extra security forces on trains last year after American passengers thwarted an attack on an Amsterdam-Paris route. The Interior Ministry, prime minister’s office and president’s office would not comment on the Milan police announcement that Amri was found in Italy with a train ticket from Chambery, France the day before. French Interior Minister Bruno Le Roux visited a Paris train station Friday morning to inspect security measures ahead of Christmas holidays. He said more than 91,000 police and military forces are deployed across the country. Nigel Farage has said the free movement zone in the EU must be scrapped after the Berlin market attacker fled across borders so easily. Amri, 24, has strong links to Italy because it was the first European country he claimed asylum in. He arrived in Italy in 2011, arriving on the small island of Lampedusa amongst thousands of people fleeing the Arab Spring uprisings. He pretended to be a child migrant – even though he was 19 – but then rioted inside his detention centre, which was set on fire. He was then jailed for four years, serving it in two prisons on Sicily. He looks to have followed a near identical route back – yet German police appear to have completely misjudged the distance Amri was able to travel after the attack on Monday night. First police arrested the wrong man in the aftermath of the attack – a Pakistani asylum seeker who accidentally jumped a red light near Breitscheidplatz. Innocent man Naveed Baluch, 23, was flown across the country to Karlsruhe to be questioned, but was released 18 hours later after he was found to have no blood on his clothes and no injuries. In that time Amri was allegedly caught on a security camera as he stood outside a mosque he was believed to have frequented in Berlin’s Moabit neighbourhood. The next blunder came when German police took a day to find his wallet under the lorry’s front seat and they only managed to confirm his fingerprints were on the wheel yesterday. Amri’s privacy was then placed above the public’s need to identify him the number one suspect. German media reports only ran his first name and second initial, and in all pictures his eyes were blacked out. The Schengen Area is a zone covering 26 European states that have officially abolished passport checks at their mutual borders. The area mostly functions as a single country for international travel purposes with a common visa policy. The policy is named after the Schengen Agreement struck in 1985. States in the Schengen Area have eliminated border controls with the other Schengen members and strengthened border controls with non-Schengen countries. Only after a 100,000 euro bounty was put on his head was his full identity revealed around 12 hours later. This was almost two days after the attack. The country’s security was placed under fresh scrutiny following revelations covert surveillance had been ditched against the 24-year-old after more than six months due to police finding nothing to substantiate an initial tip-off. Yesterday it was revealed that wire taps grabbed two months ago showed Amri had told a hate preacher that he was willing to blow himself up – and had also inquired about buying automatic weapons from a police informant. But German officers still did not believe they had enough evidence to arrest him, according to Spiegel. 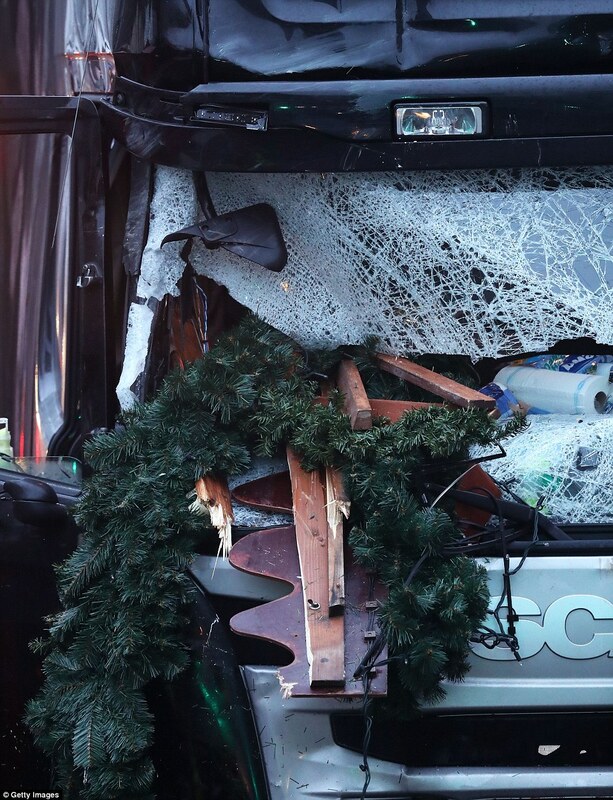 A near-total ban on CCTV in public spaces also meant that German police and security services had no live footage of the Christmas market massacre or the killer driver fleeing the scene. Draconian German privacy rules mean filming in public places is largely prohibited – and this year politicians blocked attempts to install cameras on Berlin’s main squares. It is a backlash against tyrannical control of the population by the Nazis and then state-sponsored surveillance by the Stasi in Cold War East Germany before the Berlin Wall fell. 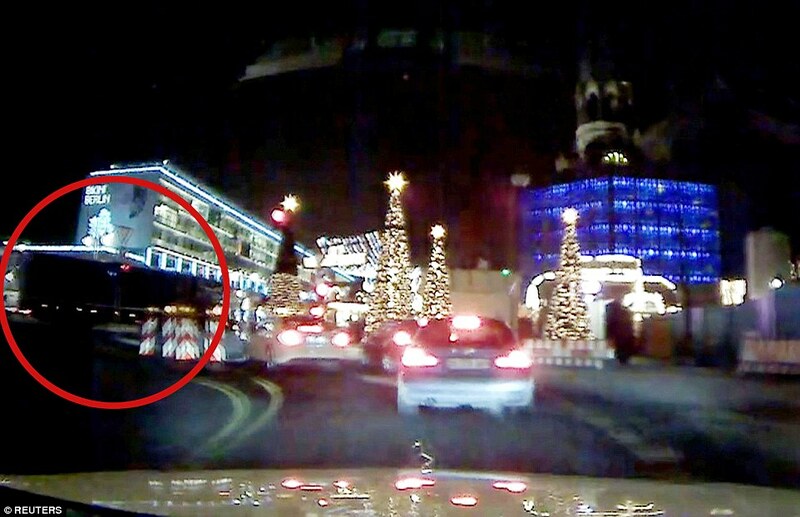 Police say it has gone too far and means that the driver of the truck who fled on foot from Breitscheidplatz square cannot be followed on camera. Bodo Pfalzgraf of the German police union said after the attack: ‘We need better and more intelligent surveillance in public places, and Monday’s tragedy has shown precisely why. ‘We would know a lot more about the perpetrator by now if we had been allowed to install video cameras on Breitscheidplatz square. We couldn’t have prevented the attack, but our investigation would be more advanced by now. CCTV can save lives’.